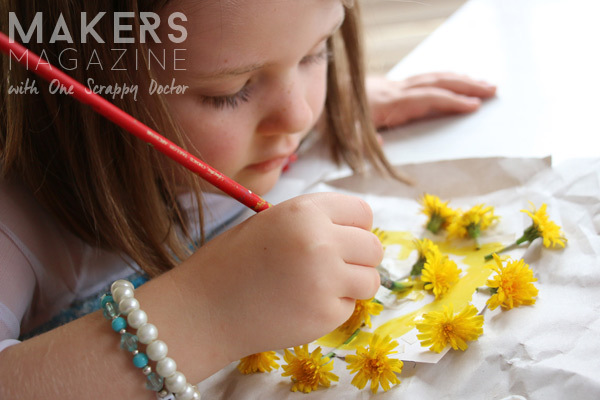 Natalie Elphinstone of One Scrappy Doctor shares with us her thoughts on creating with kids, including her reservations, but how, time and again, it’s actually Great to Create with Kids. Here are two fundamental truths: One, I love my kids (pretty obvious stuff) and two, I love to create (you probably already figured that one out too?). And yet, the revelation that these two passions of mine could be combined into one epic adventure was a long time coming. Weird hey? The idea that I could collaborate with my kids to make art and craft projects together never occurred to me until fairly recently. I guess for a start there were a couple, mostly imaginative, obstacles to overcome. There’s their age to begin with. I always thought they would need to reach a certain threshold of maturity before they would be interested in creating something with me. 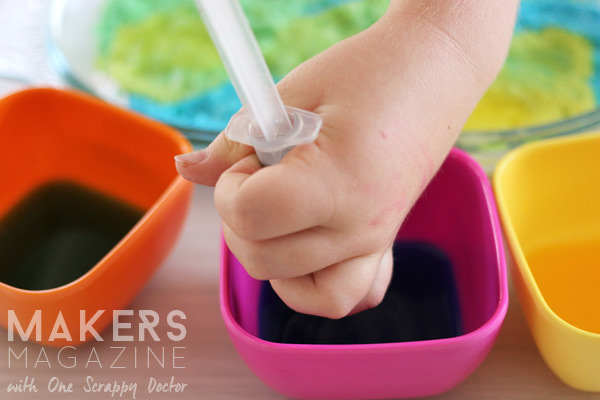 And yet, from the time they were toddlers they wanted to squish their hands in paint, pick up a pencil to make marks and glue bits and pieces together to create collages. My supplies were always more interesting than their own of course. The signs were there. Then there’s my own bias that says my creative time is ME-time. My perfectionism demands my projects are done in a certain way that only I know how to achieve. Getting the kids involved is only going to mess things up. Creating can be quite a solitary pursuit when you think about it. And I’m not suggesting that’s necessarily a bad thing. By all means, set aside the me-time as your own form of therapy and relaxation – I know that’s what I do. 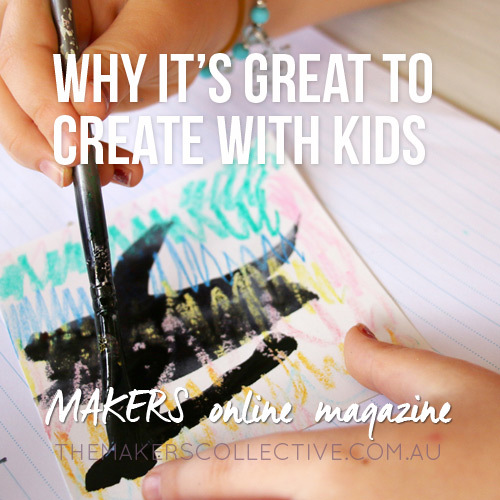 But perhaps you also want to set aside some collaborative-time to work on some fun art and craft projects with your kids? Allow this time to be messy with no fear of mistakes. Make a rule to make no rules! Because at the end of the day we’re merely talking about paint and paper – if it turns into a blobby brown mess then so what? Throw it away and start again! Concentrate on exploring the process rather than creating a final product.